The Creative Jumpstart Project. iPhoneographic design created on an iPhone by Kate England. The Creative Jumpstart is a free course to boost your creativity and build creative momentum. 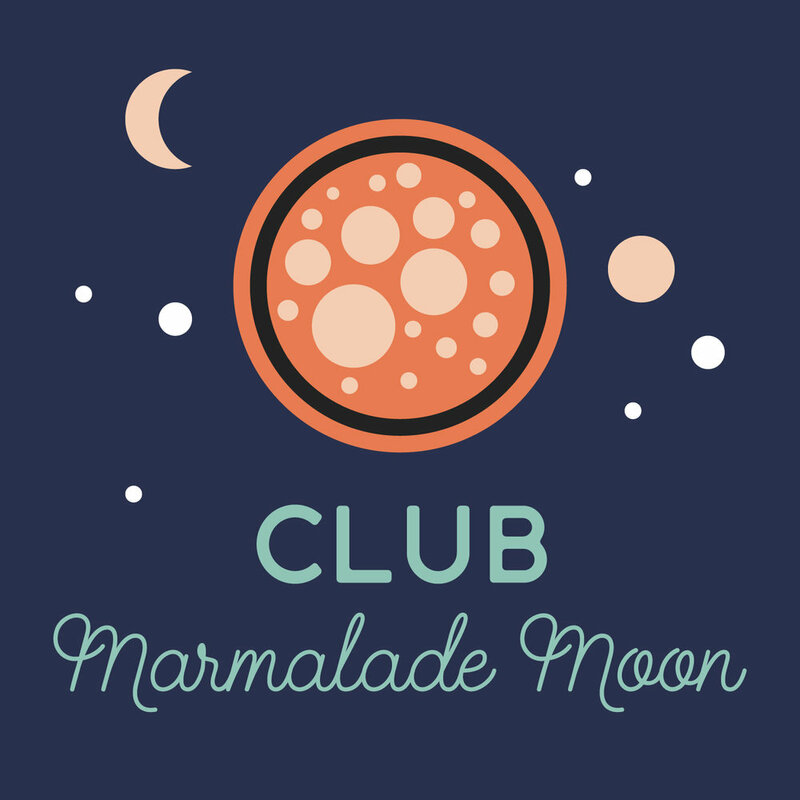 It's a Club Marmalade Moon project, and you can get access to it by joining the club. To make it easy to succeed, the course comes in 7 tiny, to-the-point, practical and bite-sized chunks. In this course we'll work on a practical project that you can complete with pen and paper. Optionally document your creative process with a camera (any old camera will do, an iPhone works great). It's amazing to see the artwork that members of Club Marmalade Moon have created in the Creative Jumpstart. Here on the blog you'll find a selection. The artwork of Brian Brasher (here and here), and the Creative Jumpstarts of Emily, Esmee (as well as a mini interview), Amy, Sandra and Danielle! If you missed the Creative Jumpstart, you can get free access to the entire course and work through the course at your own pace, by joining Club Marmalade Moon. Before and after. Sophisticated doodle in different stages of the creative process. By artist Danielle Ambrose of Artistic Expressions. "Your lessons happily reminded me of how important it is to doodle. I do a lot with permanent markers and lines and shapes are a huge factor in the success of a drawing. It was a great way for me to step back, practice, and refine my skills using an entirely different approach than I had tried before." Hope is asking for rain. Faith is taking an umbrella. iPhone photo: Adding more detail. "Hope is asking for rain. Faith is taking an umbrella." A mess. I have made it! Check out the first steps of Brian Brasher's sophisticated doodle and visit him at his brilliantly creative and playful home on the web: Etherbrian. Before and after. Pen doodling and digital fingerprinting in different stages of the creative process. Creative doodles by artist Sandra Lock. Before and after. Creative doodle by Amy. Jeweler of AG Ambroult elemental designs. "I just want to say that I am really enjoying your creative jump start course. It's the "delivered in tiny pieces" part of it that makes it so do-able." Hello Esmee, could you tell us a little about how you got started with creative iPhone photography? I used to take pictures of my girl or snapshots on holidays, but never thought to edit them until I got my iPhone. All the apps!! What happened next? How did you develop as an iPhone photographer? I found Instagram, and discovered that I liked the heavily edited pics best, grainy effects and faux lomo and all. That really inspired me to experiment. I lost count of the amount of apps I tried ;) Then I signed up for online photography courses with Susannah Conway, Bindu Wiles and Vivienne McMaster where I met lots of wonderful people and more or less found my artistic voice. Could you tell us more about your creative process behind your Sophisticated Doodle? I really loved your Creative Jumpstart! It was great to start out with something so simple and just see where it takes me. I took the pictures with my iphone and edited them on my iPad (I need glasses so a bigger screen is wonderful for editing) with Laminar. Mostly I just play around with the settings and effects and save every stage. Then I layer the saved versions to create more depth. Simple, but great fun! What would be your advice to someone who's just starting out as a creative iPhone photographer? # experiment! Try out lots of (free) apps - do read the reviews though, or you will end up with hundreds of them. Find more of Esmee's creative iPhone photography on Pingram.